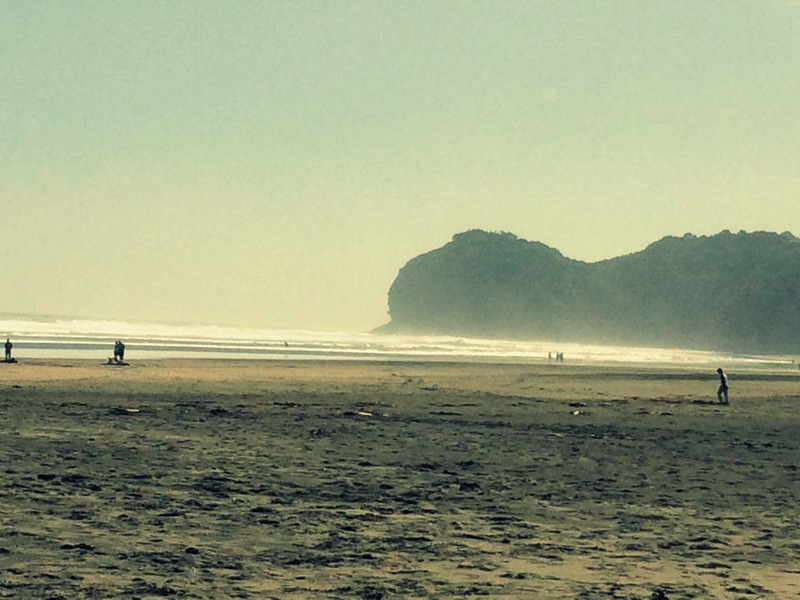 On Saturday we went out to Piha Beach on the wild West Coast, in an attempt to break through the lethargy and blahness that sometimes descends on us all after an exhausting, busy week. 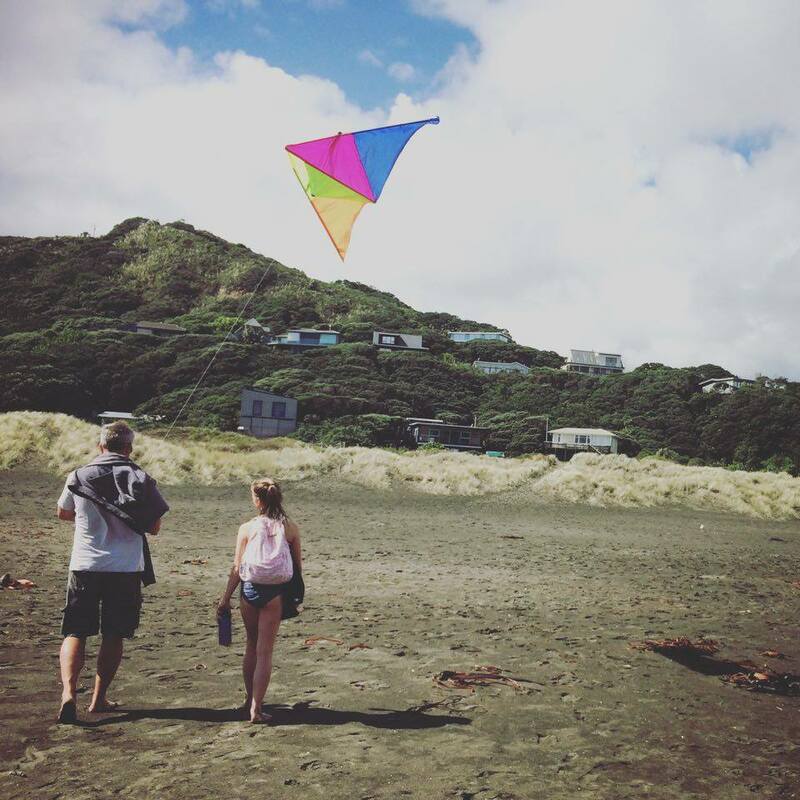 The car was loaded with reluctant, groaning kids, a bag of snacks, a soccer ball and our never-before-used, still-in-its-packet Kite. 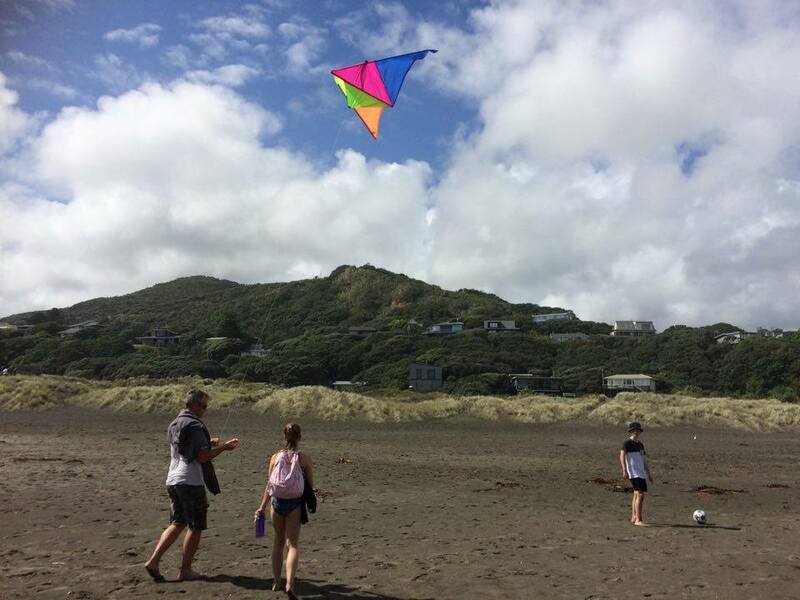 We've never had much luck with kites before, but for once the wind was blowing right and the kite's string was barely let out when the wind caught it and whipped it up into the air. 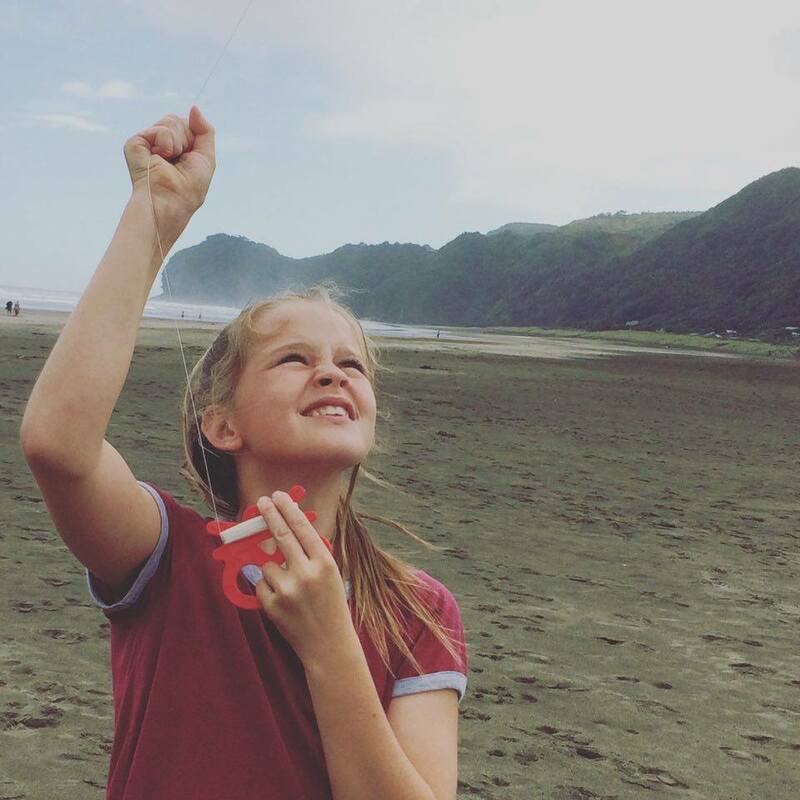 What is it about flying a kite that is so thrilling? You stand there connected to this thing that is soaring on the wind like some wild winged bird. You can feel its will to fly free as it tugs and pulls on the line, which fairly sings and buzzes in your hand. You feel the power of the wind pulling against you, and the desire of that kite to fly, fly, fly. It wants to go free, so bad! Up and up it goes, as the wind tugs at it. Let me fly! it urges, as you resist the wind's pull and hold the kite anchored to the earth. 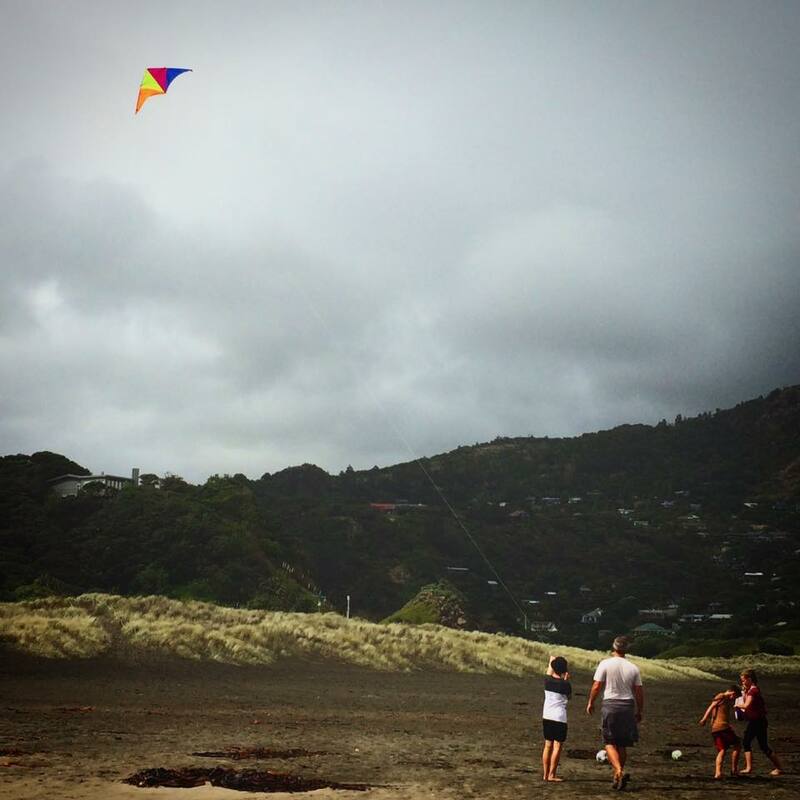 As I stood there on that beach with the wind whipping my hair, my kids playing, laughing and engaging instead of slobbing on their gadgets (which they wanted to do), I was reminded of what I heard long ago from Ian and Mary Grant of the Parenting Place: We need to give our kids roots and wings. "Roots" represent the kids' need for boundaries, memories, meaningful traditions and values. "Wings" represent our children's need for us to believe in them, fire their imagination, support their dreams and let them soar. As a visual person, I'd never managed to get a very clear picture in my head of what having roots AND wings might look like (I mean, well-rooted trees don't actually also fly, right?). But in that moment standing there with the kite string tugging in my hand, I got it. 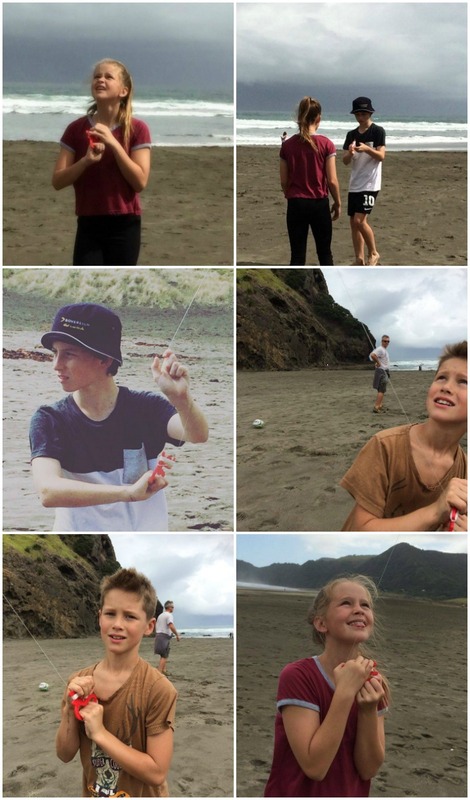 We parents are the anchor, holding our children's kite string. 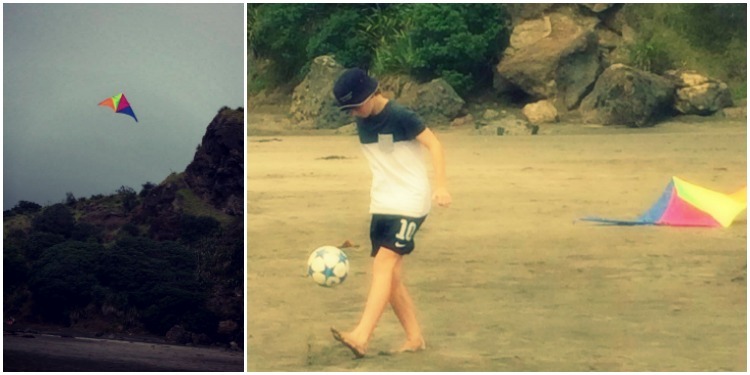 Our little kites want to fly and as they get older they may sometimes desperately resent our holding the string. But they need us to, nonetheless. Because what happens if we let go of the string? Does the kite get its wish? Is it now free to fly up and up, without the restriction of that bothersome anchor pinning it to earth? What happens if I let go of that string and stop being the anchor for my "kite" was graphically illustrated when the tug of the wind met with a lapse in my concentration. I glanced away, just for a moment and Whoosh! A gust of wind tugged that thing right out of my hand. Away the kite flew, free at last... for about a second. As I ran chasing the string, desperate not to lose the kite, lower and lower it sagged, falling from the sky. It was free of its anchor, sure, but it could no longer fly. It just flapped uselessly and sunk back to earth where it crash landed on some strangers. They kindly grabbed the string and held it for me until I arrived, panting, grateful and a bit wiser about kites and kids. Without the anchor, the kite can't fly. Our growing children, becoming teenagers, may fight us and groan and roll their eyes when we say, "it's family time!" or "hand in your gadget" or (I'm imagining) "no you can't go to that party where there will be drugs and alcohol". The anchor (boundaries and values) we provide keeps them grounded. A strong anchor provides the security and stability they NEED in order for them to actually fly. The wind is blowing hard these days in the world around us. 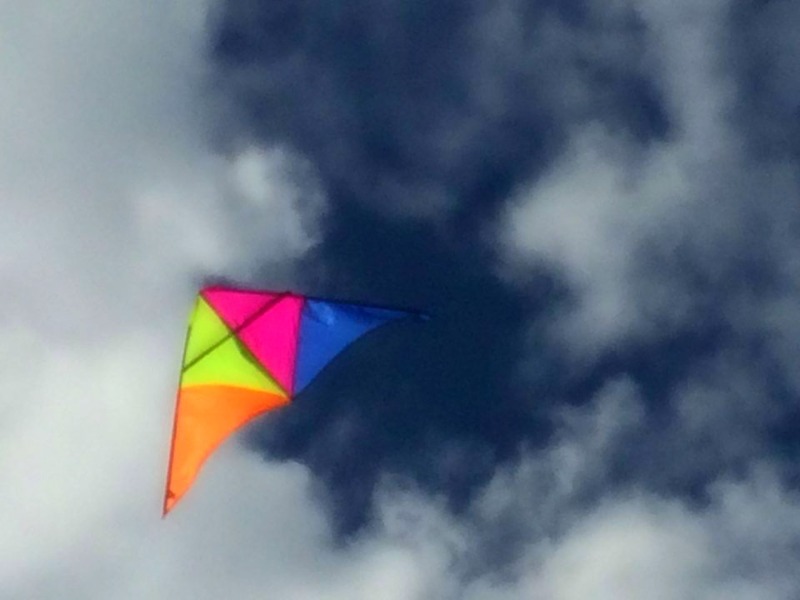 We can feel our kites tugging wildly, singing, "Let me go! let me do what I want! don't hold me back!" but we must resist the urge to let them tear away. Let out the string? Yes. Let them fly high? Yes. Of course we want them to try new things, have adventures, spread their wings and enjoy a growing independance. It's what kites (and kids)were made to do. But without us providing them with an anchor, these little kites will just crash to the ground. So we will hold on, and provide our kids/kites with an anchor, even when they think they don't need us. Not because we want to be mean or control them or spoil their fun. But because we want them to fly.